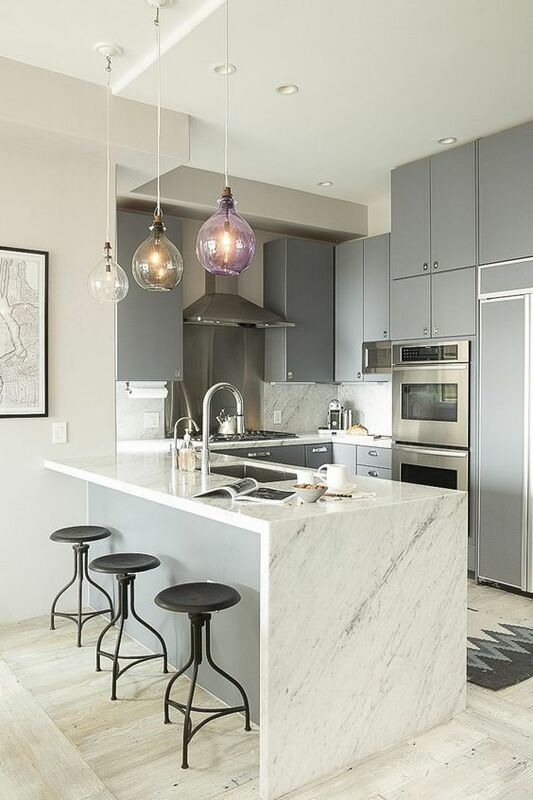 Modern kitchens are all the rave with their sleek, sophisticated design. In fact, did you know architecture and design styles of modernism incorporate straight lines and boxes as a main component in order to offer a sense of predictability to us viewers? Now thats something I can get behind- a consistent flow of predictability in this oh-so unpredictable world. Talk about relaxing! 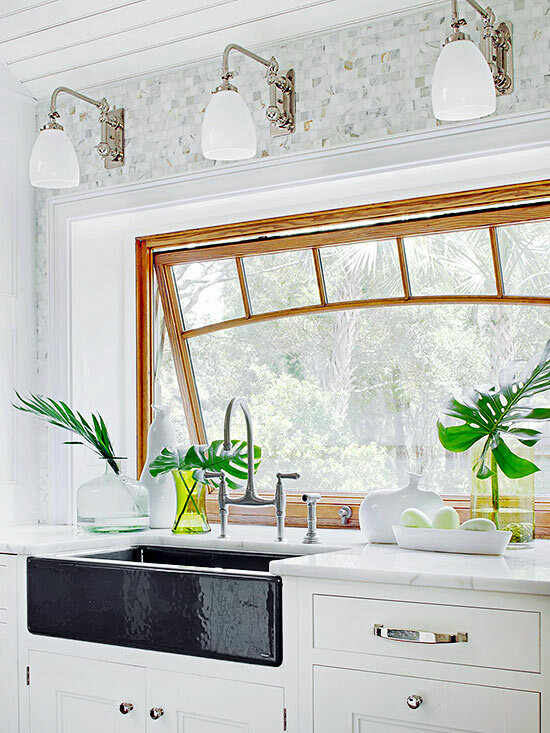 Alright, enough of the history lesson…heres what I’m dishing on modern kitchens as of today! 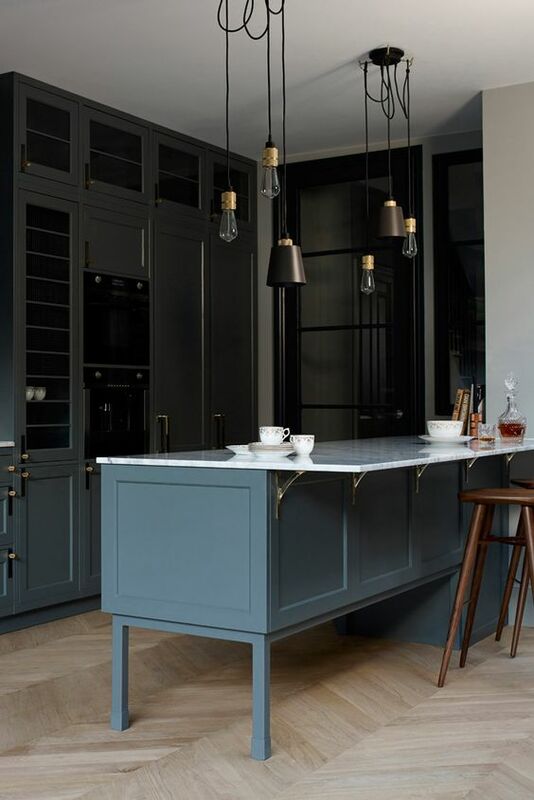 One huge thing I’ve been trend spotting is how kitchen’s are starting to transition from a typical builders look into one with a more custom furniture-type feel. Hardware is everything! Let me repeat- hardware is everything! 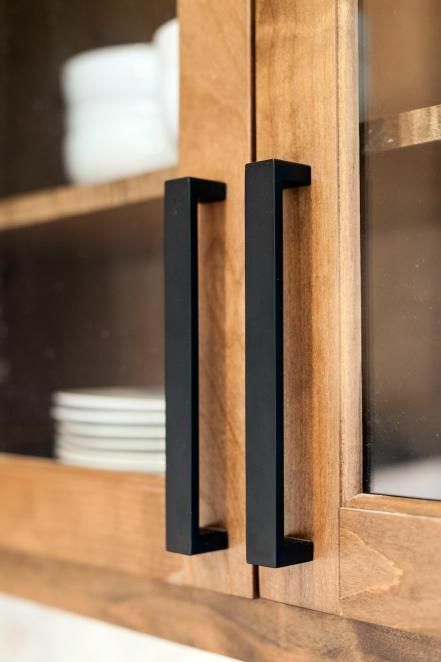 It’s also the easiest thing to swap out with a new style to give your kitchen a mini makeover. Pick your lighting wisely! 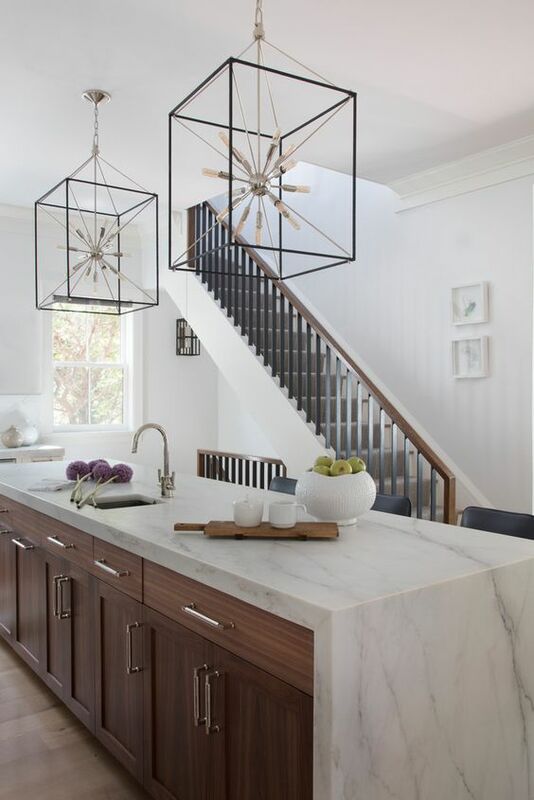 Another statement piece of your kitchen, your lighting! 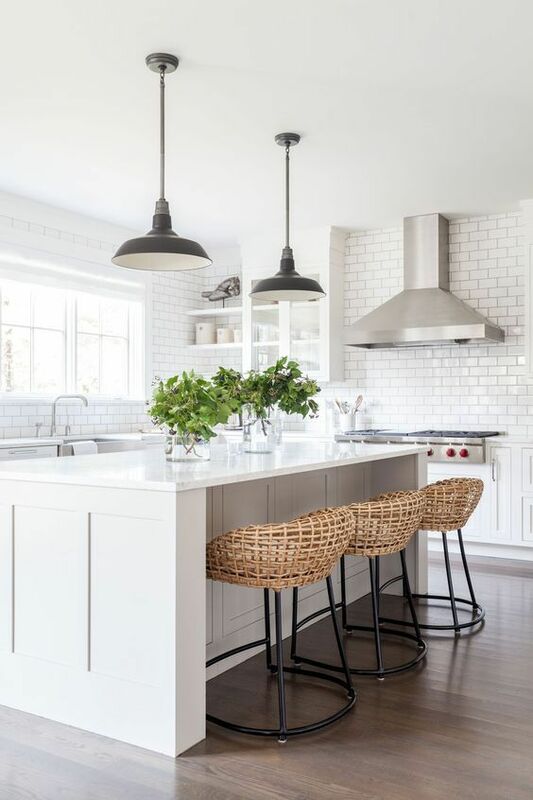 One tip I suggest is to ditch the smaller pendants and go for something bigger and better. 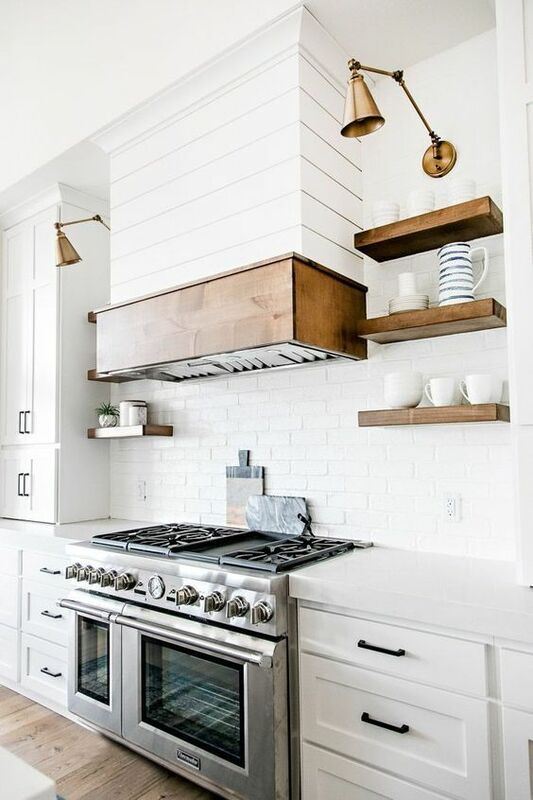 Love these pendants highlighting the shelves! Via Pinterest. 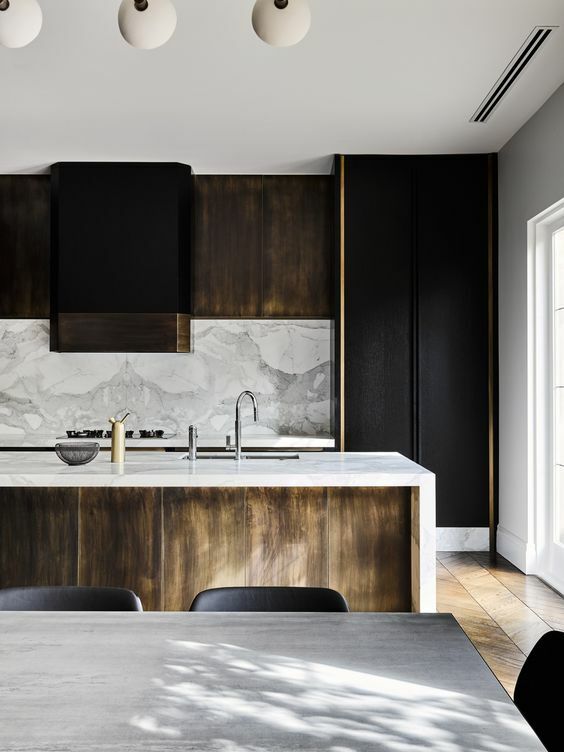 Two toned kitchens. TOTALLY love this. Such an easy way to add interest and expression into a space! Also another way we’re starting to get that furniture vibe from kitchens now. Another big fave of mine- Waterfall islands. There’s just not one I don’t obsess over. So sleek, so fab!